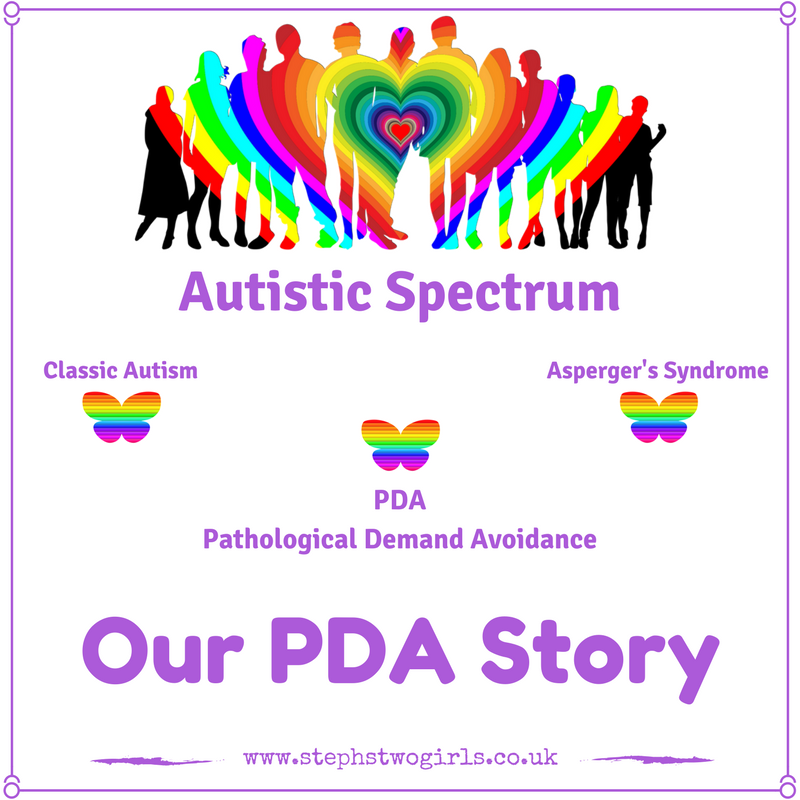 Welcome to week 23 in my newly relaunched series 'Our PDA Story'. 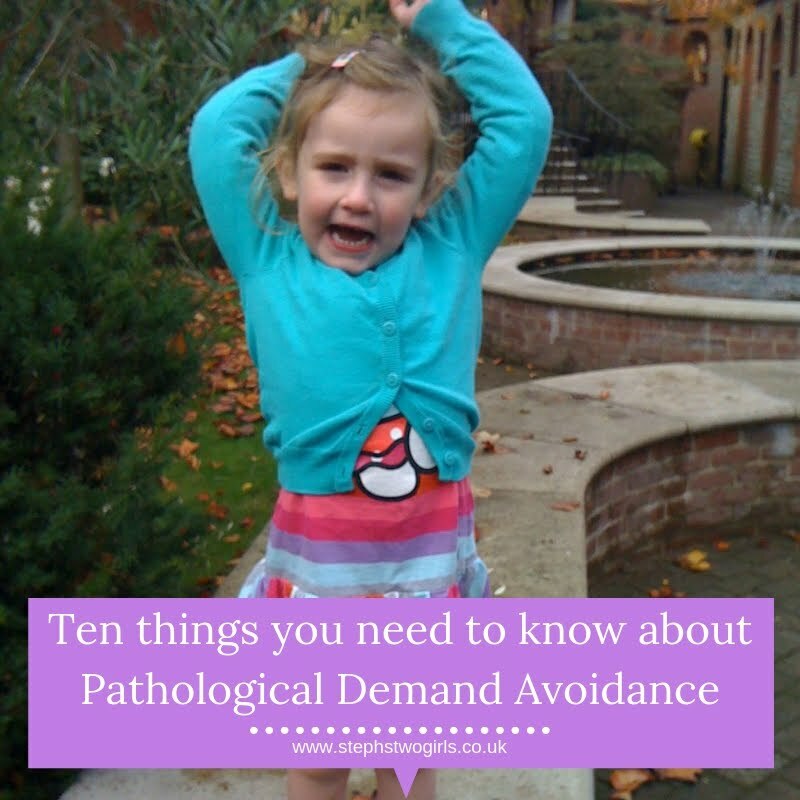 I'm handing my blog over to others who are living with the type of autism called Pathological Demand Avoidance in their family, so that they can explain how it has been for them. 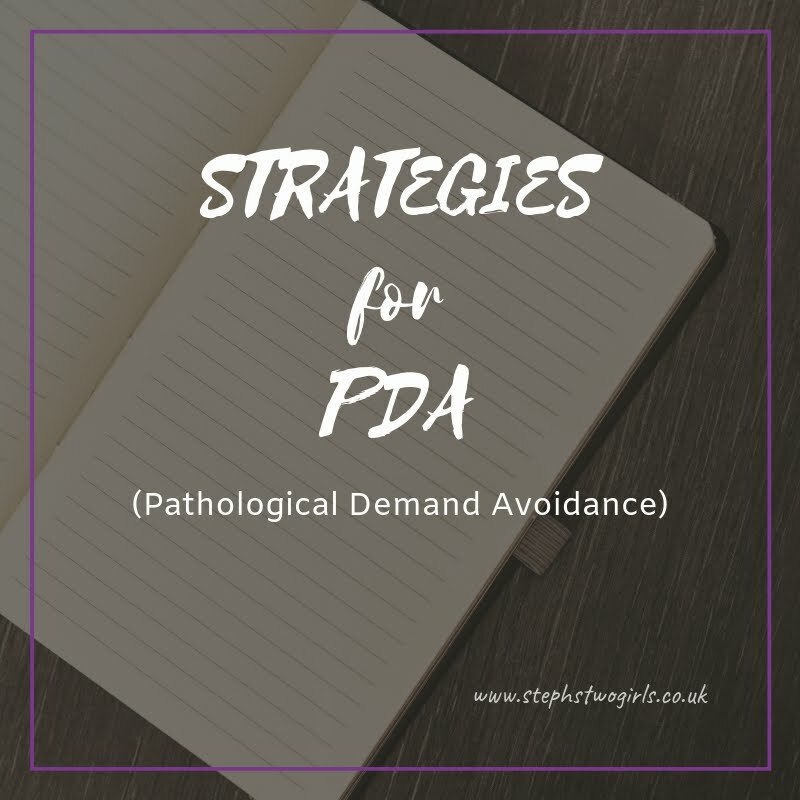 This week's contributor writes a very successful blog of her own called Notes on PDA and I'd definitely recommend popping over to check out her A-Z of demands series. Here, she talks about solutions and how to make life PDA friendly. At age 6, and a few months before her PDA diagnosis, my daughter started refusing life as we knew it. Gradually, one by one she stopped attending her much loved classes. Then educational workshops and groups became too difficult for her to join in with and she refused to take part in the Christmas play which she absolutely loved doing the year before. Eventually she refused to leave the house for anything that wasn't visiting family. She just wanted her computer from morning until night. She worried about everything imaginable and was in a total panic all the time. 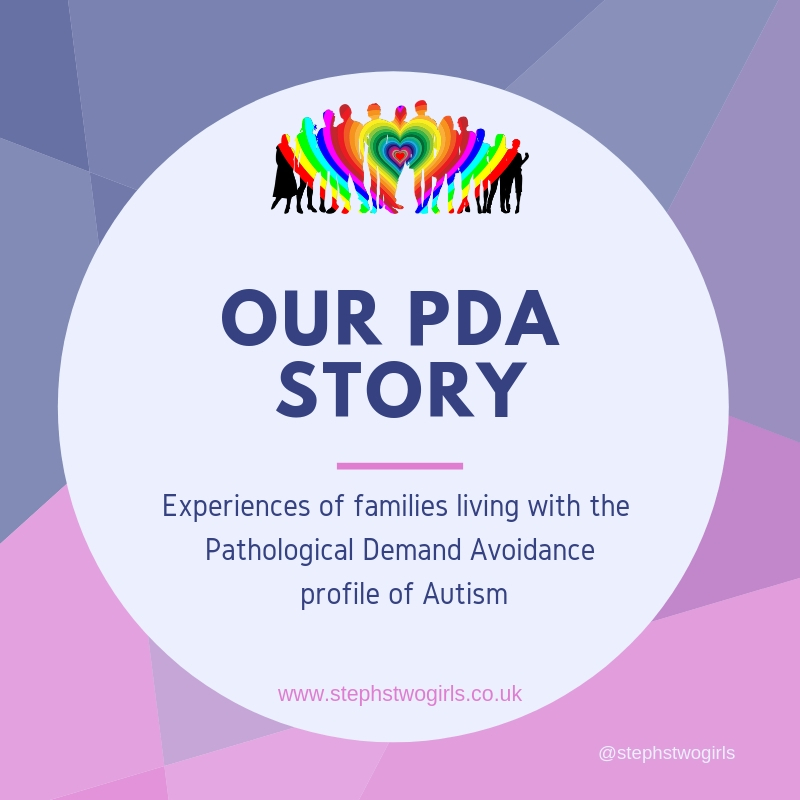 Thankfully, just over a year on, her anxiety has reduced drastically and that is because we’ve been confidently using PDA strategies and have created a PDA friendly lifestyle which looks very different to what life was like before the life refusal. I say life refusal because our daughter wasn’t attending school (she’s home educated) so she wasn’t refusing school, which is so often the case for children with PDA, she was refusing life. A life filled with fun and pleasant things, where she played with her friends every day. A life where she went to singing and dance classes and on nature walks and forest school and learnt French by playing games with a wonderfully supportive tutor, alongside her best friends. A life without targets or pressure to achieve milestones, she was free to visit her favourite places and discover the world around her every single day. 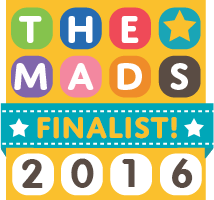 We visited libraries, museums, zoos, farms, art galleries, science centres and explored towns, parks, woodlands and beaches. Life was busy and full of wonderful experiences but this was not sustainable for her. As time passed, the strain of her difficulties and the effects of demands, masking and overload overwhelmed her and she was left depleted and unable to function as she once could. Around this time, she also started becoming more self-aware of her difficulties, especially of her demand avoidance as well as her fears and frustrations and aware of life's uncontrollable stuff and that this makes her anxious. Our initial goal was to find ways to support her to be able to live that life again and I found myself measuring any progress against it and waiting to get back to something that resembled that lifestyle but I gradually realised that that wasn’t the best lifestyle for her to thrive in, it was what led to her burning out and it wasn’t PDA friendly. I hadn't appreciated how severe her Anxiety was until her paediatrician recommended she be prescribed medication (a beta blocker) because it was felt she was operating on such high anxiety levels ALL THE TIME that she would benefit from the calming effects the medication can provide. Once this sunk in, along with her diagnosis and a better understanding of her particular strengths and difficulties, we knew that we needed to try to reduce her anxiety as much as possible, by creating a lifestyle to support her needs and our goal changed to finding ways to support her to live the life that's right for her, whatever that may be. After a few months I noticed that with more downtime and fewer social interactions and reduced demands, her anxiety ebbs and flows, like waves, throughout the day rather than building up and up to the inevitable explosion at the end of the day when we arrived home. A slower paced life was what she (and we) needed to manage PDA as best we could. So we embraced this, and our lifestyle now moves at a much slower pace. Allowing lots of time to get things done. Feeling rushed causes a great deal of anxiety for her. She needs longer processing time and to go at her own pace with everything she does which means taking her time so we allow lots of time to get things done and don’t hurry her. Going with her flow as much as possible is necessary too so she feels as in control of her environment as possible. If she doesn’t feel up to doing something, we don’t (unless it’s essential) and if she’s keen to do something and suggest it (and it’s doable), we always try to because we know she might not be up to it again for a while so we grab the opportunity when it comes along. Life is more spontaneous than planned but for things we do plan, she’s involved as much as possible so she feels she has control and so there is no uncertainty or avoidable surprises. Preparation, rest and recovery time are essential. Our lifestyle before had her out and about doing something social every day of the week and there just wasn’t enough downtime in between social situations and everyday demands for her anxiety to ever reduce to a low enough level to recover from overload, leaving her in a heightened state of anxiety all the time. Now we plan in plenty of downtime between events, outings, seeing friends etc, even between demands like baths and brushing teeth (and we don’t attempt a bath on days when something else is happening). This is so she has the chance to regulate her anxiety and be in the best state of mind for the next thing and able to get the most from it. Prioritising which demands are necessary and which aren't and dropping the unnecessary ones each day, so she’s not bombarded with demands all the time is essential too. She often stays in her PJs all day on days in for example and by removing the demand to get dressed, she has more energy to use elsewhere on other, more essential or more valuable things. She spends lots of time doing activities which are calming to relax her brain and give it the respite it needs from anxiety. This includes drawing, colouring, watching familiar videos on YouTube and TV and listening to favourite music and songs. And we encourage her to be herself and we show her that her unique talents and skills are valuable. From this she has become comfortable with who she is and how she lives. Creating this PDA friendly lifestyle and using PDA strategies hasn’t changed her underlying needs and that was never the goal. Her needs are still the same, she needs control and certainty and experiences demand avoidance as well as difficulties with social communication and interaction, her emotions and sensory and information overload, but, this lifestyle has improved her wellbeing and quality of life and enabled her to get the most out of the things she does despite her difficulties. She feels safer and more in control and her anxiety has drastically reduced so she is able to consider and attempt different things again but at a more suitable and sustainable pace and she is able to home in on and develop her skills and talents and is making progress in learning how to manage aspects of her PDA. We stay mindful of ensuring our lifestyle always matches her current needs and abilities and we tweak the ways we support her as needed and hope that modelling this for her will help her to be able to do the same in adulthood so that she’ll always live the very best life she can. You can read more about how we support our daughter and follow our journey with PDA at my blog notesonpda.wordpress.com or on my Facebook page Notes on PDA. 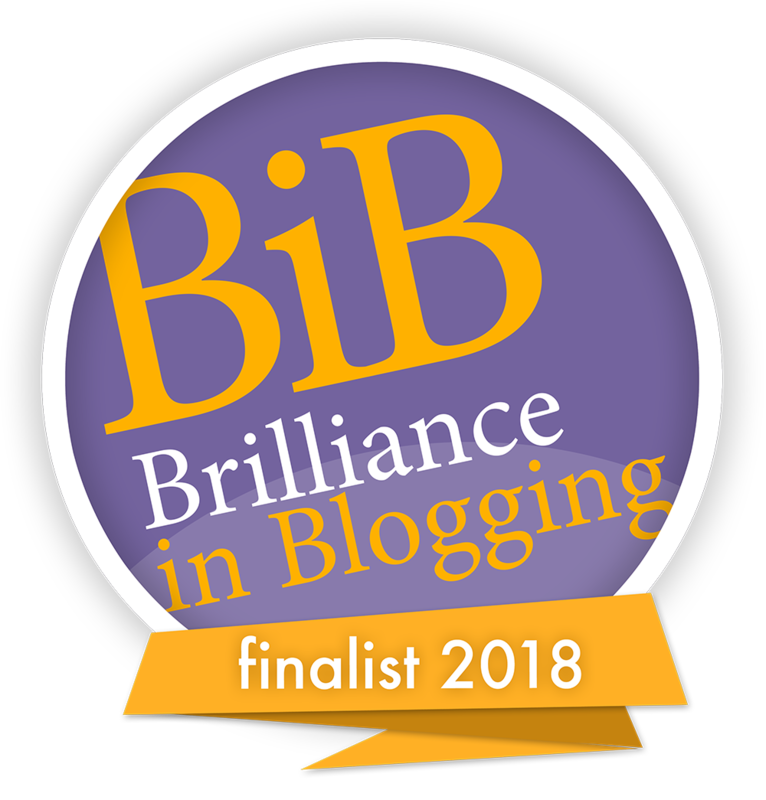 Thanks for taking the time to read. It would help a lot if you can share this post further; in groups, on Facebook or Twitter, any way you choose. Just one more person reading who may not have otherwise seen it could make a big difference. 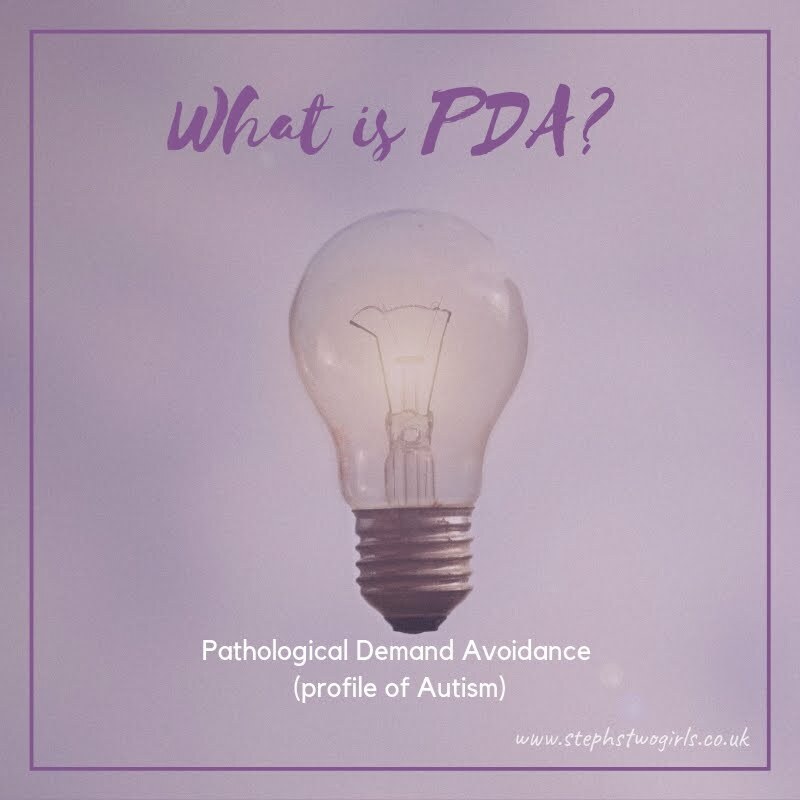 PDA can be mistaken for ODD (Oppositional Defiance Disorder); my most popular post explains the difference between PDA and ODD. 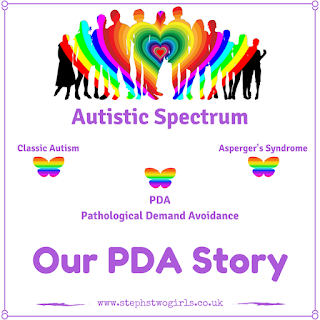 To look back on previous examples of PDA shown on my blog, visit This is our PDA story. This includes experiences from girls, boys, young and old, and includes some from adults diagnosed with PDA. The PDA Society webpage has much more information, and a great variety of resources can be found on the PDA Resource website. The PDA Society are holding a PDA conference in Birmingham on 18th April 2018. The keynote speakers are professionals who are very knowledgeable about PDA.